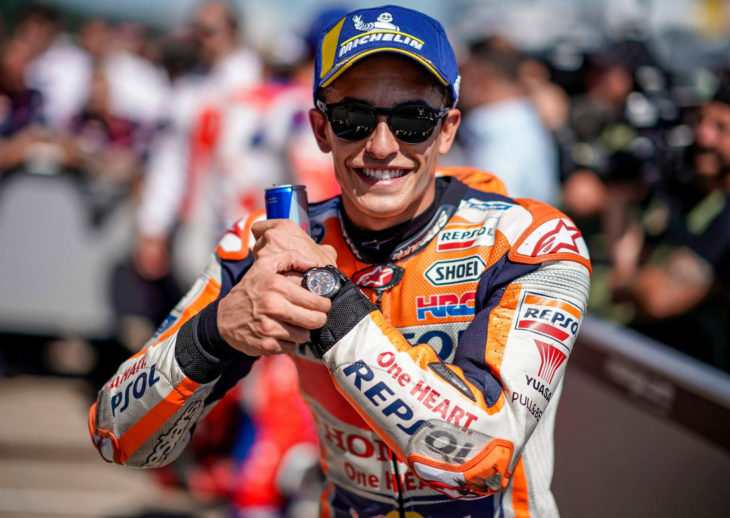 Marc Marquez (Honda) took a remarkable ninth pole position in a row at the Sachsenring earlier today. On the front row with Marquez for tomorrow’s race will be two Ducatis, with Danilo Petrucci lining up in second and Jorge Lorenzo third. Ducati took three of the top five qualifying positions. The top 11 qualifiers are roughly within 1/2 a second from pole position, so tomorrow’s race could be very close and exciting. MM is just a beauty to watch when under pressure.